Ectomycorrhizal ( EcM) fungi form mutualistic symbioses with many tree species and are regarded as key organisms involved in nutrient and carbon cycling in forest ecosystems . Recent technological advances have contributed significantly to our understanding of the population genetics and molecular ecology of EcM . In this review, we first present the commonly used molecular markers for characterizing individual EcM fungi . The properties of different types of molecular markers and their general utilities are discussed . We then summarize the common approaches for identifying unknown EcM fungi and point out the intrinsic difficulties associated with conducting EcM fungal research. One major deficiency is our lack of understanding of the below-ground distribution and dynamics of EcM fungi due to the non-cultivable nature of many EcM fungi . Recent molecular investigations of the EcM fungi have provided a variety of important data with regard to their host specificities, species diversity and abundance, genet size, and their reproductive strategies. We discuss the relevance of these findings to further functional investigations of EcM fungi and to potential implications in the conservation and management of forest ecosystems. emasculated flowers in A. carniolicoides, but not in A. luridus . Therefore, visitations of D. saxonica to A. carniolicoides was speculated to result in selfing within flower , i . e . facilitated selfing , whereas V. rufarufa could facilitate outcrossing among flowers in A. luridus . Compared with the pollination mechanism of A. tanguticus, the putatively primitive species in Anisodus, we found self- compatibility occurred in the derived species , indicating the evolutionary transition from self-incompatibility to self- compatibility and pollinator shift during the speciation in this genus. Moreover, the unpredictable and frequent rain in alpine environment might depress pollinator activity , which could be the principal reason for pollen limitation in A. luridus and A. carniolicoides. 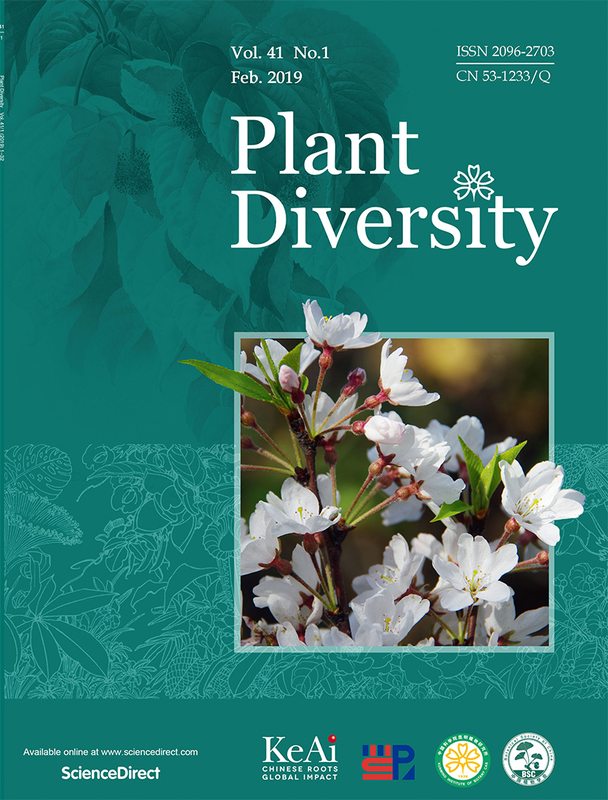 In order to reveal the reproductive patterns of Dolichomitriopsis diversiformis, twelve nutrients allocation patterns and seasonal dynamics were studied . The results were as follows: mature sporophyte biomass allocation was 6 . 67% ; 12 nutrient contents in mature sporophyte followed the order : C ( 452 mg/g) > N (35 mg/g) > K ( 8439. 9 μg/g) > Ca(7012 . 9μg/g) > P (2129.2μg/g) > Mg (1482 . 9μg/g) > Na (432 . 9μg/g) > Mn (196 . 3μg/g) > Fe (177.7μg/g) > Al (174 . 8μg/g) > Zn (68 . 1μg/g) > Cu (19. 4μg/g) ; nutrient allocation patterns in mature sporophyte followed the order : K (17. 7% ) > P (15.1% ) > Cu ( 13. 3%) > N (11. 6% ) > Na (10. 5% ) > Mn (7. 8% ) > Zn(7. 5%) > C (6.9% ) > Mg (6. 8% ) > Ca (5. 4%) > Fe (1.3%) > Al (1.2% ) . paper , including the gene structure , gene localization in genome , gene expression , protein motif organization , and phylogenetic relationship of each family member . These results should provide useful information for the further structural and functional studies of PHD-finger proteins . 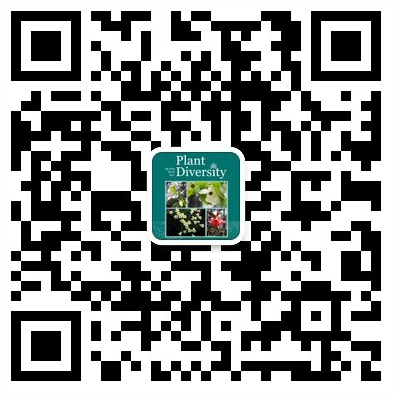 Changes in desiccation tolerance of pea ( Pisum sativum) seeds during imbibition were studied in this paper. Water uptook by seeds was initially rapid , and then slowly increased until a plateau was reached . Rate of electrolyte leakage increased initially until 11 h , and then declined with imbibition . During imbibition , germination percentage of seeds gradually increased , and water content at which 10% and 50% of seeds and axes were killed by subsequent dehydration significantly increased while desiccation tolerance of seeds and axes was progressively lost . Gibberellin and abscisic acid altered seed germination characteristics and improved desiccation tolerance of axes . These results showed that the loss of desiccation tolerance of imbibed pea seeds was a quantitative feature, and the changes in desiccation tolerance of imbibing orthodox seeds could serve as a model system for the study of seed recalcitrance . Expression of avian cytokine in tobacco or other plants had the economically potential use for producing pharmacological applications products and applying easily in practice . The cDNA encoding chicken alpha interferon (ChIFN-α) was introduced into Nicotiana tabacum Xanthin by Agrobacterium transformation . The transgenic plants were detected by histochemical stain assay and molecular analysis . Recombinant ChIFN-αwas confirmed by enzyme- linked immunosorbent assay (ELISA) and cytopathic effect (CPE) inhibition assay . The results showed that ChIFN-α gene was successfully introduced into tobacco plants and stably expressed at various level from 0 .0003% to 0. 0033% of total soluble protein. The biological activity of ChIFN-αwas 5 .01×103 IU&#1089839;g of tissue in vitro . Since interferon was involved in host antiviral response, our results provided the possibility for further study of plant oral adjuvant with ChIFN-αfor improving immunity in birds . decreased , while catalase (CAT) activity significantly increased . The ascorbic acid (AsA) contents could not be detected in 16 - 22 DAP embryos, and notably increased in 24- 50 DAP embryos. Reduced glutathione (GSH) contents gradually increased during development of embryos . The activities of SOD, APX and DHAR in dehydrated embryos were lower than those in control ( non-dehydrated embryos), however , the CAT and GR activities were higher in control embryos thanin dehydrated samples during the early stage of development , and were lower during the middle and late stages . Contents of AsA and GSH of dehydrated embryos obviously decreased compared with non-dehydrated embryos. Malondialdehyde (MDA) contents of embryos gradually decreased with development , and those of dehydrated embryos were higher than control. These results showed that the increase in catalase activity and AsA and GSH contents, and decrease in MDA content were closely related to acquisition of desiccation tolerance of maize embryos . The physiological responses and the relevant anatomical structure of Betula halophila under salt stress were assayed. Results showed that the relative water and proline contents of the leaf were gradually declined, while the MDA content was correlated with the CAT activity in the leaf under salt stress. The CAT activity was ascended responding to the stability of MDA content at 50 - 200 mmol/L NaCl , but it was decreased at 300mmol/L NaCl , which caused the elevation of the MDA. The K+&#1089839;Na + ratios in the leaf and root were declined under salt stress, while the K+ content was always higher than Na + content in leaf. Crystals of Betula halophila containing the C, O and Ca element were discovered in the stem and leaf, but not in root, and will be further confirmed by chemical experiment related to cell components . During our expeditions to Dabashan Mountain in June and September 2006 , Primula mallophylla, a species endemic to Dabashan Mountain , Northern Chongqing, China, was rediscovered. Based on observations and collections from Dabashan Mountain , the description of P. mallophylla is revised and emended. A key to P. mallophylla and its related species is provided, and the chromosome numbers and karyotype of this plant are reported. In addition, the current status of P. mallophylla is assessed according to the IUCN Red List Categories and Criteria . Halogenated molecules are widely distributed in the biosphere with a variety of uses in pharmacology. Halogenating enzymes have been identified for the biosynthesis of halogenated compounds by catalyzing the formation of carbonhalogen bond. According to their different reaction mechanisms, halogenating enzymes are divided into two main groups, haloperoxidases and flavin-dependent halogenases. In addition, other halogenases including non-heme FeII&#1089839;α-ketoglutarate (αKG)-dependent halogenases, methyl halide transferases and fluorinase were recently discovered. This review concentrates on the occurrence , mechanism and biocatalytic potential of the halogenating enzymes that are currently known. The biological importance of halogenating enzymes in biohalogenation has aroused wide concern. Meanwhile, using modern biotechnology, for example , combinatorial biosynthesis and directed evolution , the prospects for generating halogenated derivatives of valuable natural products would therefore appear very bright. A new ent-kaurane diterpenoid , dipterinoid A (1 ) , was isolated from the aerial parts of Dipteris chinensis together with thirteen known compounds . Its structure was determined as 16β-hydroxy-17- [ ( Z) -p- coumaroyl ]- ent-kauran-19-oic acid by extensive NMR and MS analysis. All of known compounds were isolated from this plant for the first time. A new phenolic acylglucoside , 2-methoxy-1 , 4-biphenol-1- O - [6- O- (3-methoxy-4-hydroxybenzoyl ) ]-β-D-glucopyranoside(1) , together with 8 known compounds , 3′, 5′-di- C-β-D-glucopyranosylphloretin (2 ) , rutin (3) , quercetin-3- O-β-D-glucopyranoside (4) , pyrogallic acid (5) , catechol (6 ) , p-hydroxybenzoic acid ( 7) , protocatechuic acid ( 8)and vanillic acid (9) , was isolated from the methanol extract of the fruits of Amomum tsao-ko . Their structures were determinedby detailed spectroscopic analysis, including 1D, 2D NMR and MS techniques . The known compounds 2 , 3 , 5 and 7 - 9 were isolated from the titled plant for the first time .